You might not always be successful when you go twitching, but don't give up! If at first you don't succeed, twitch twitch again! 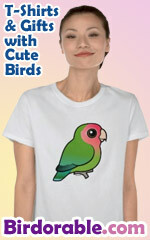 A cute gift idea for the birder or twitcher on your list.